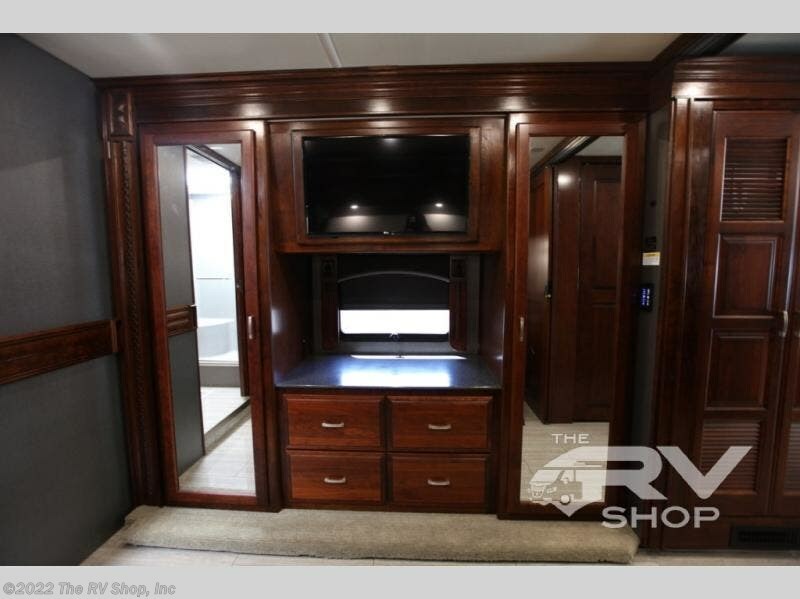 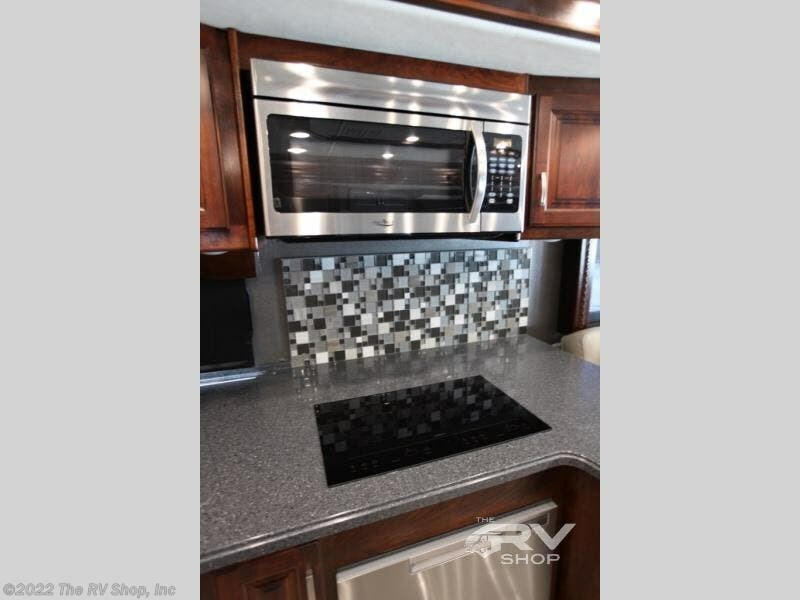 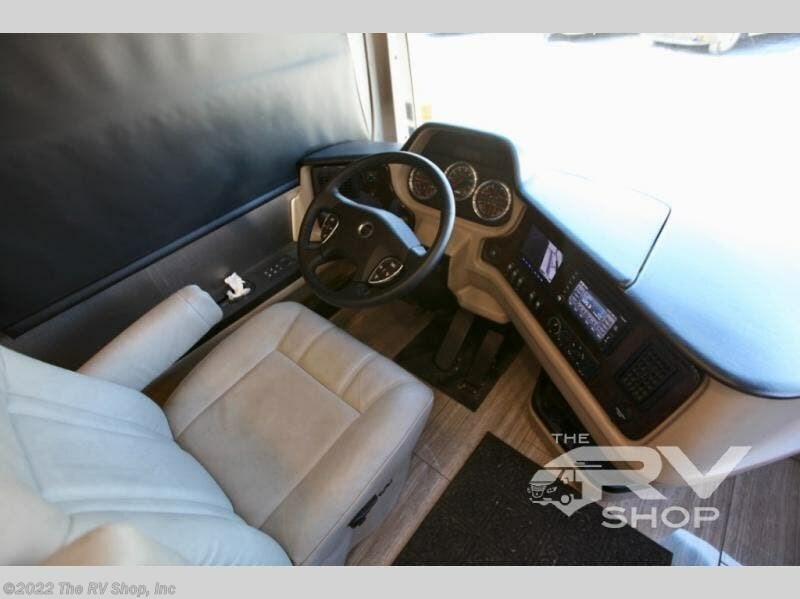 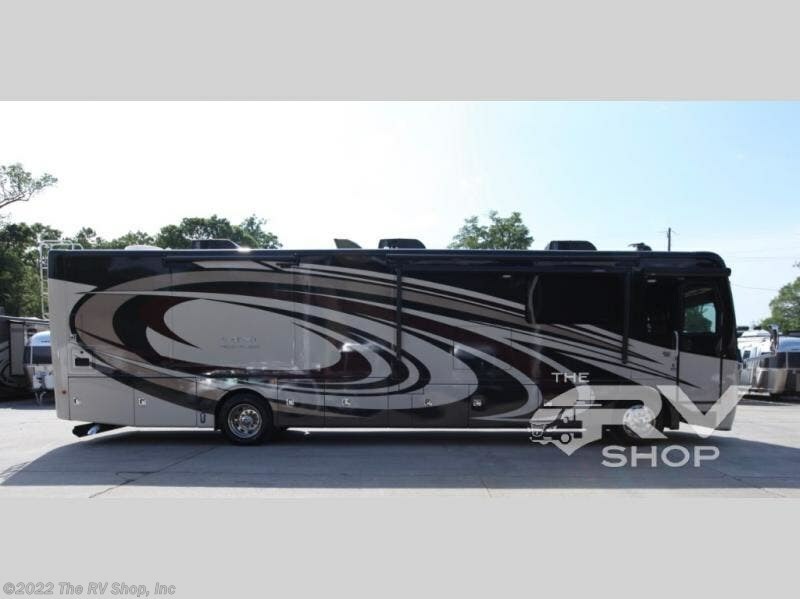 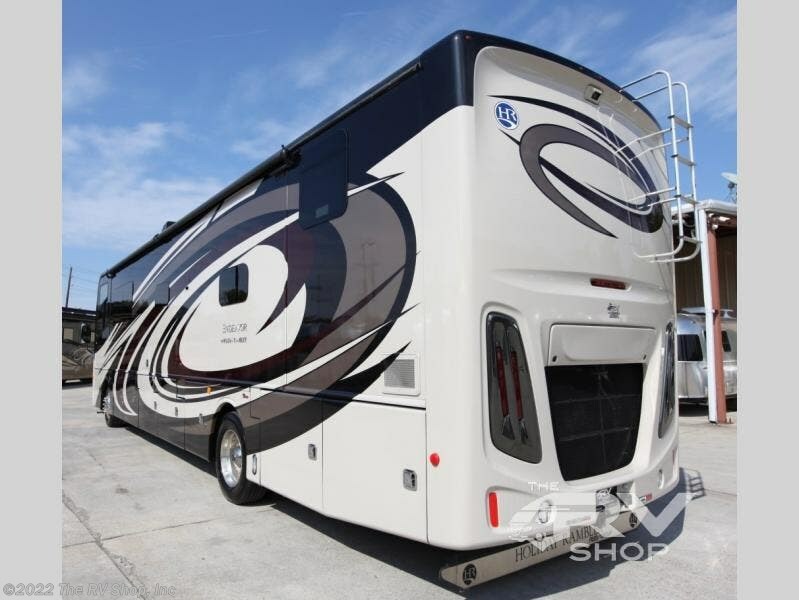 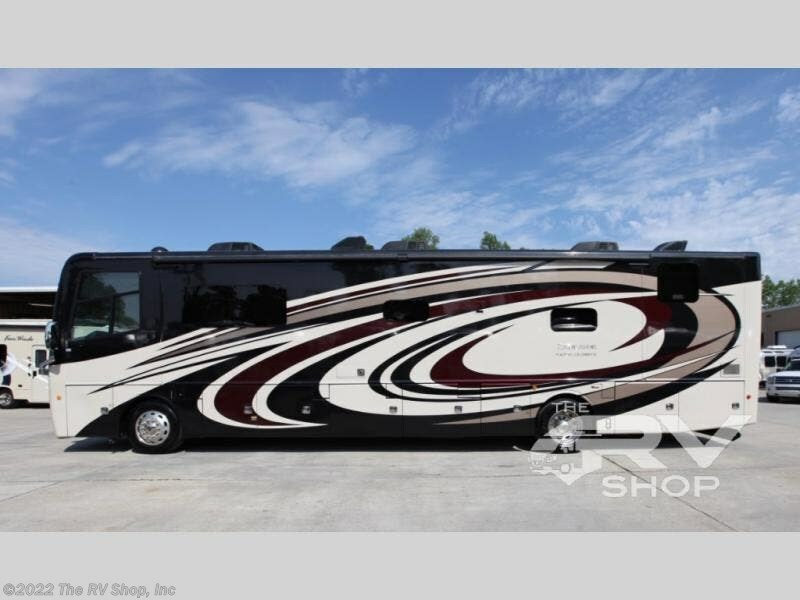 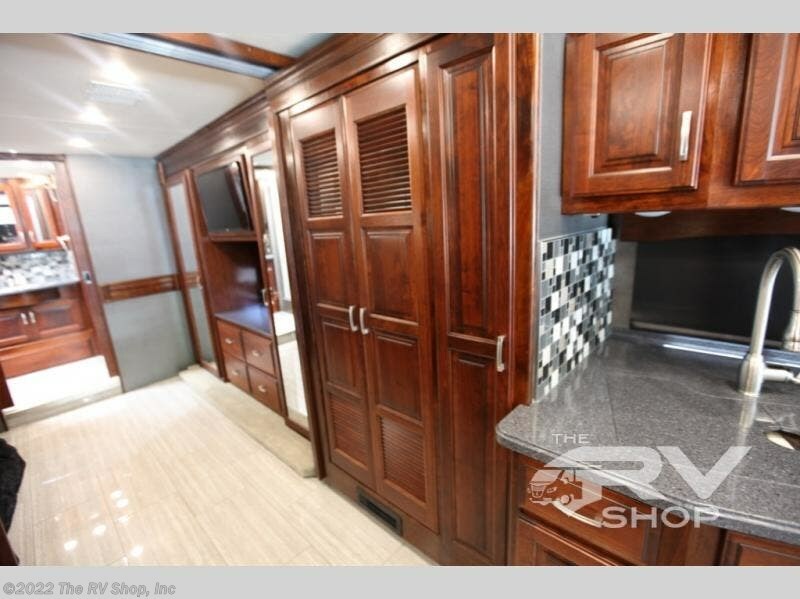 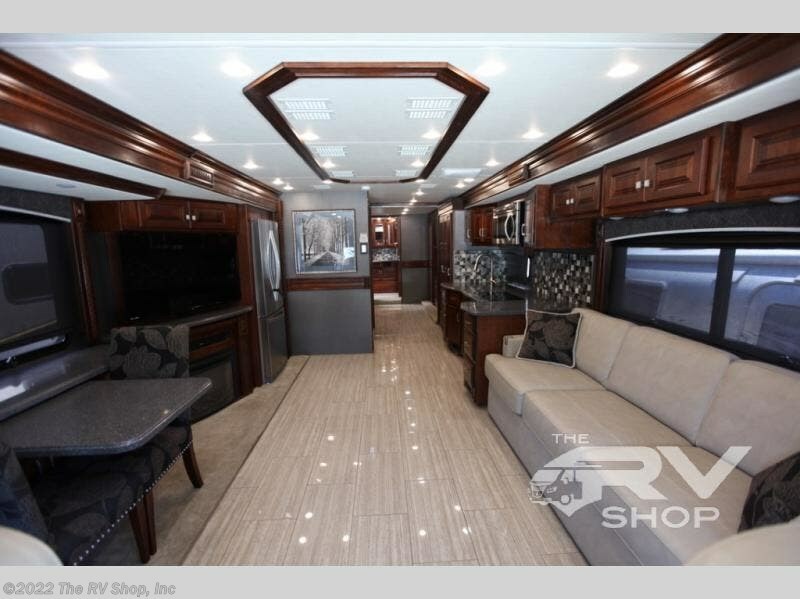 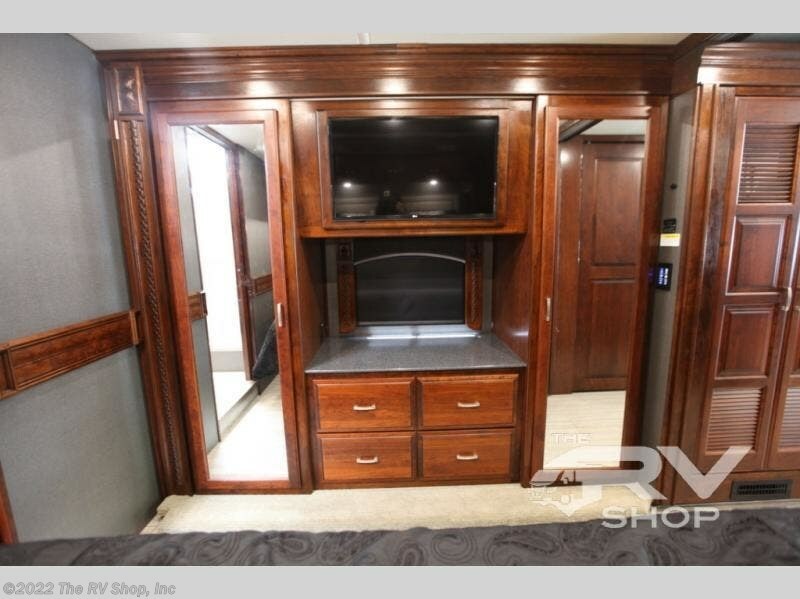 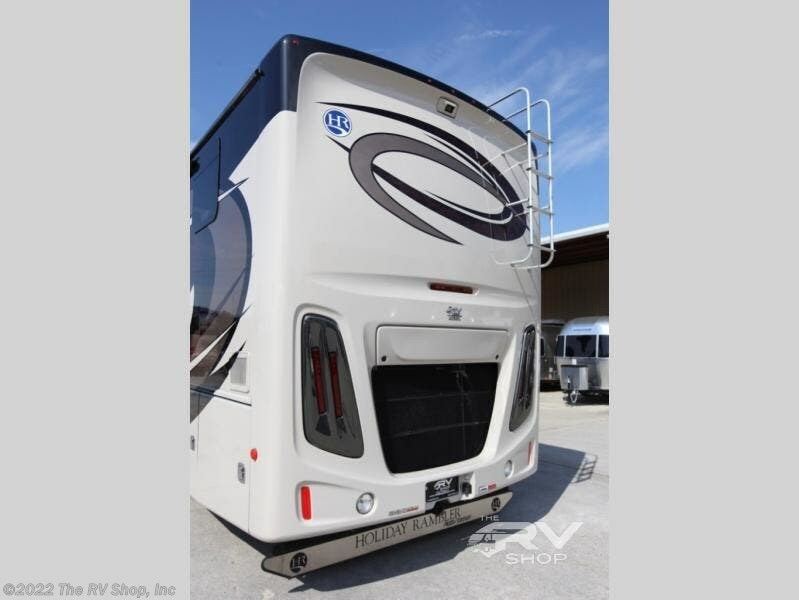 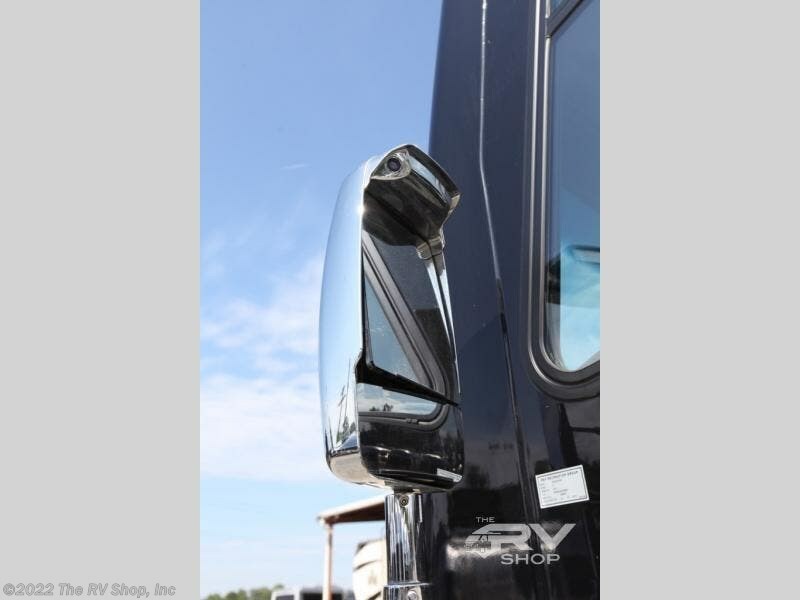 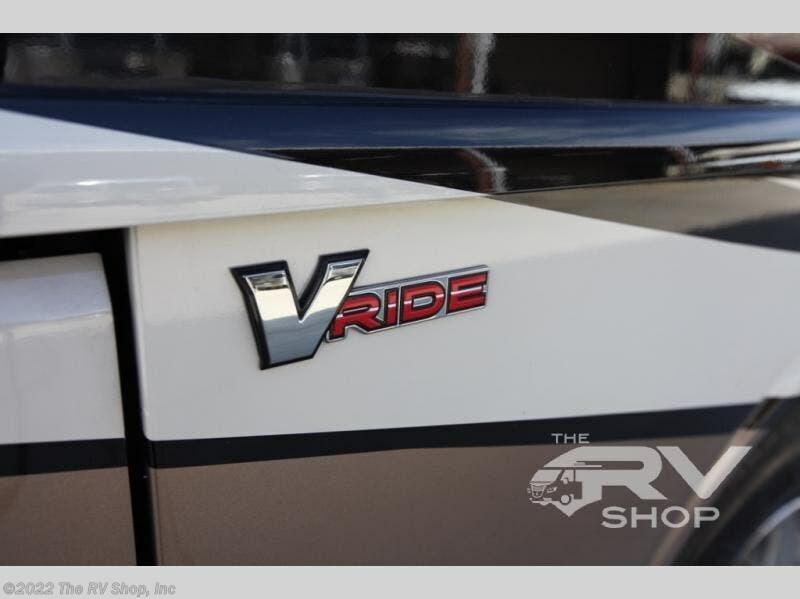 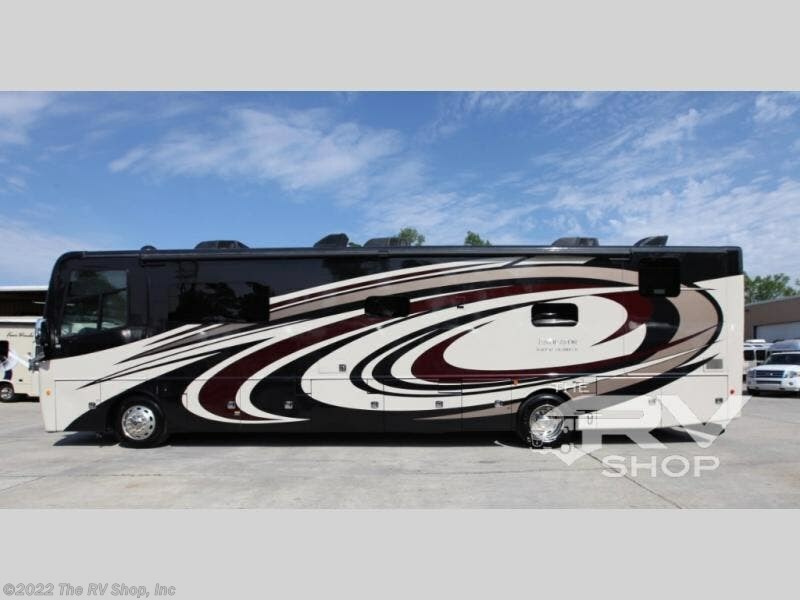 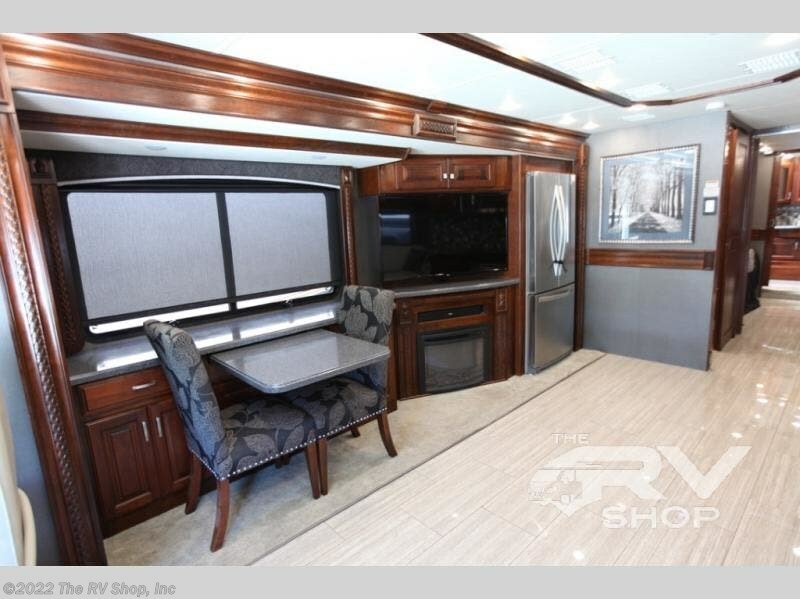 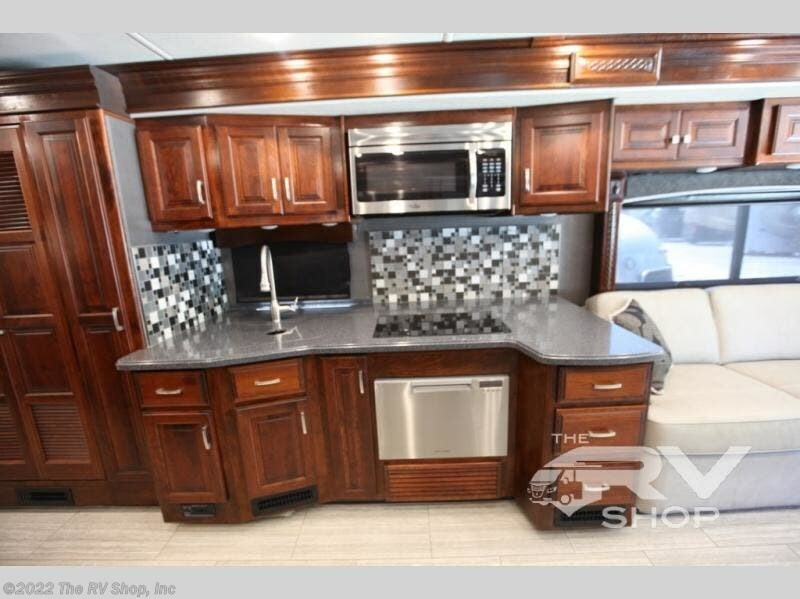 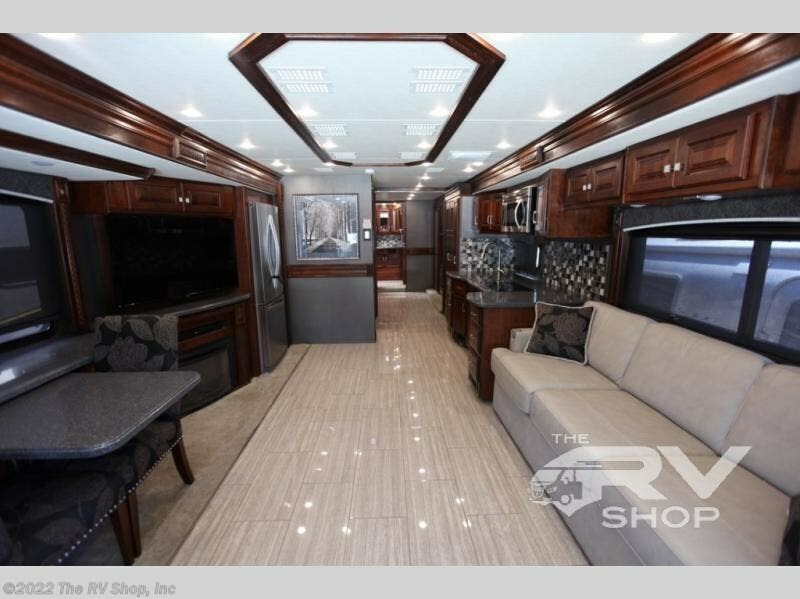 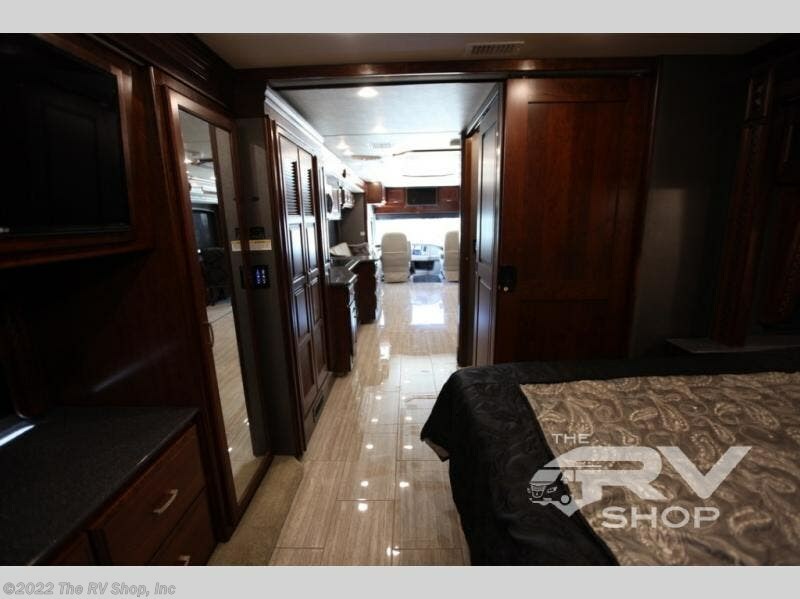 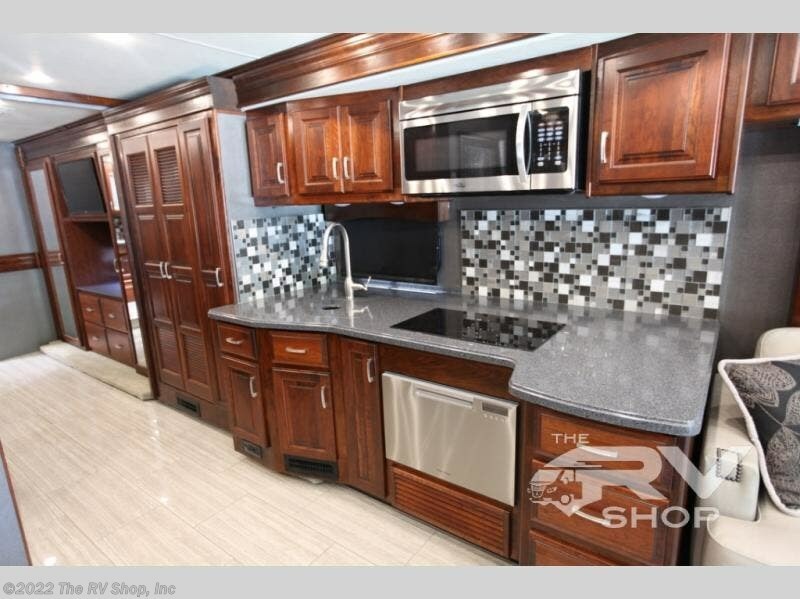 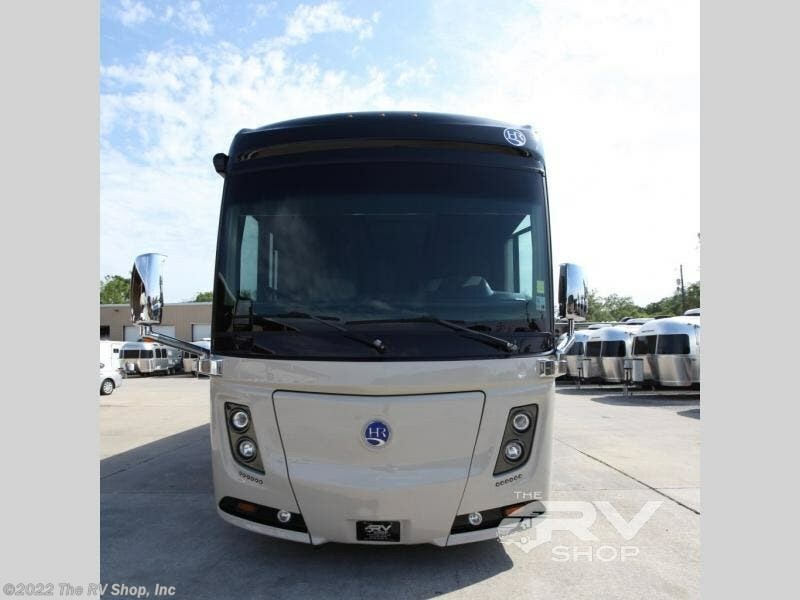 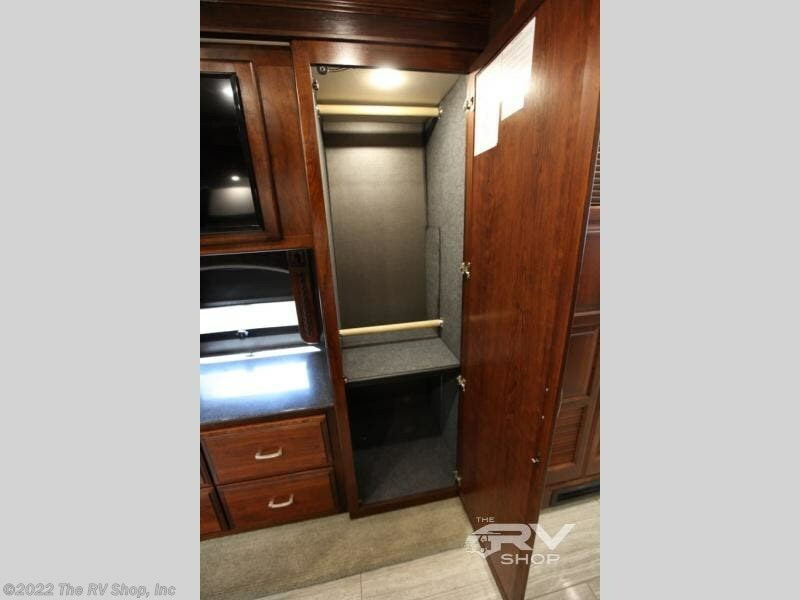 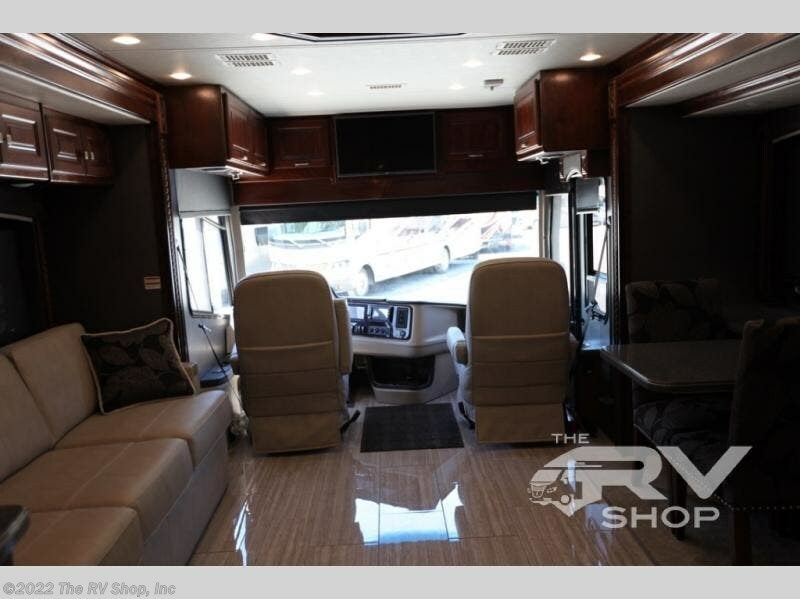 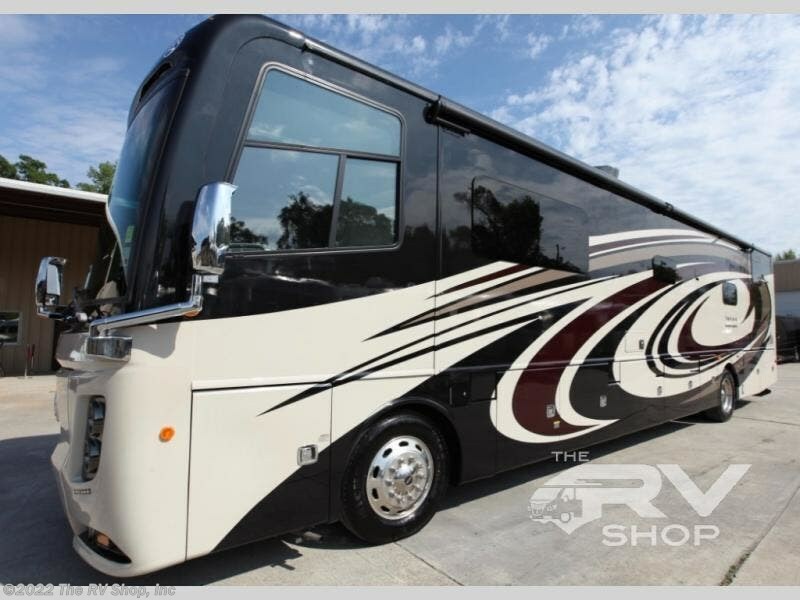 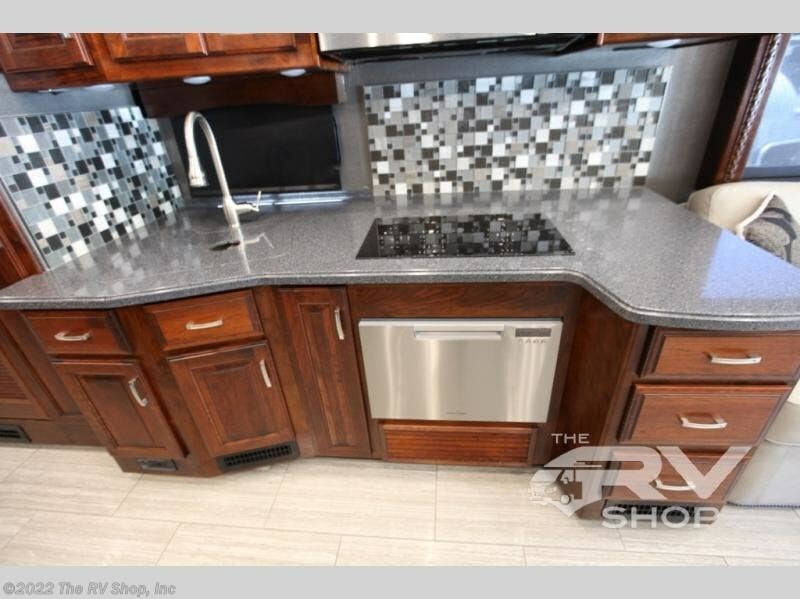 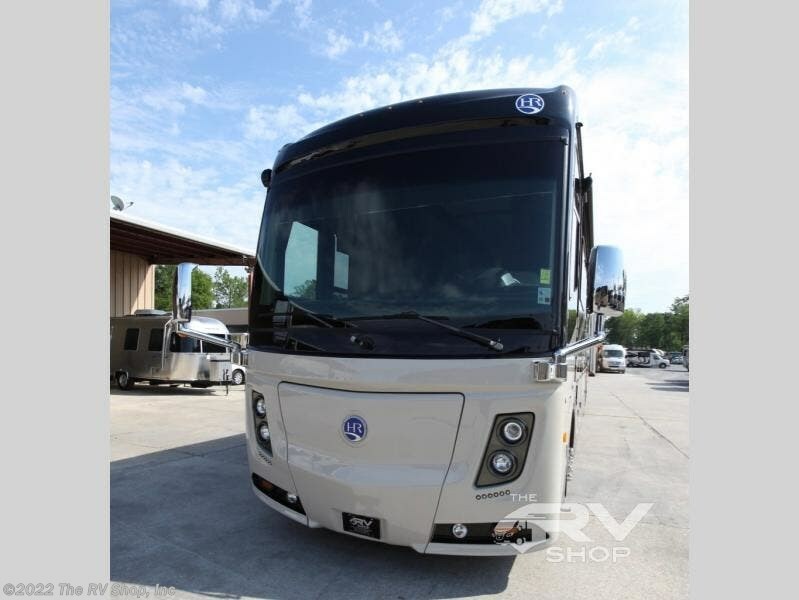 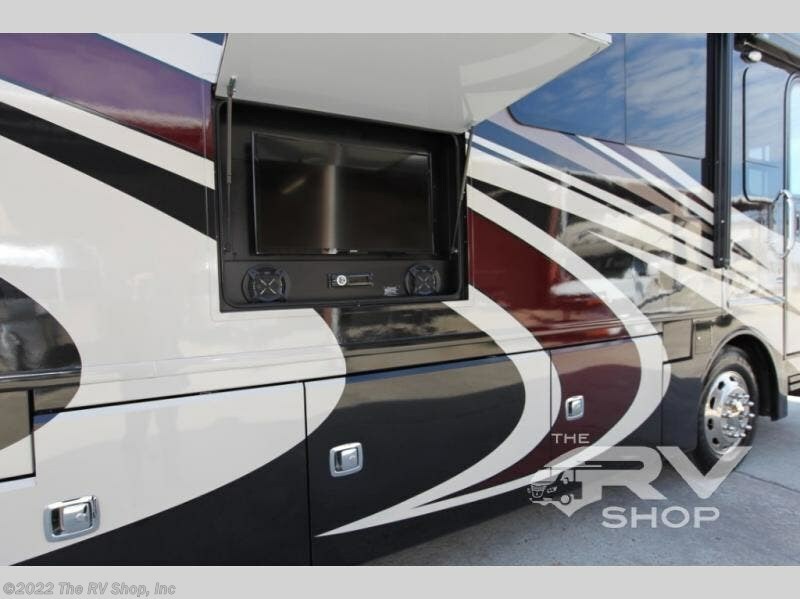 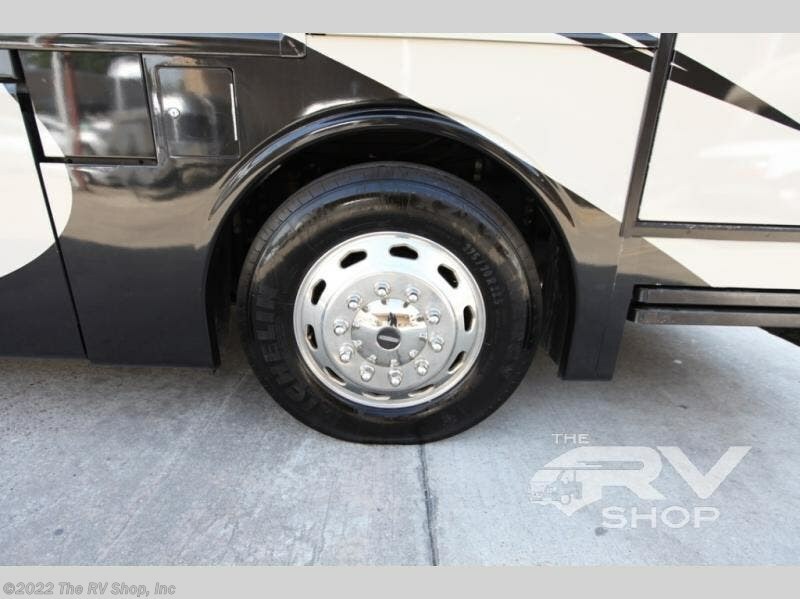 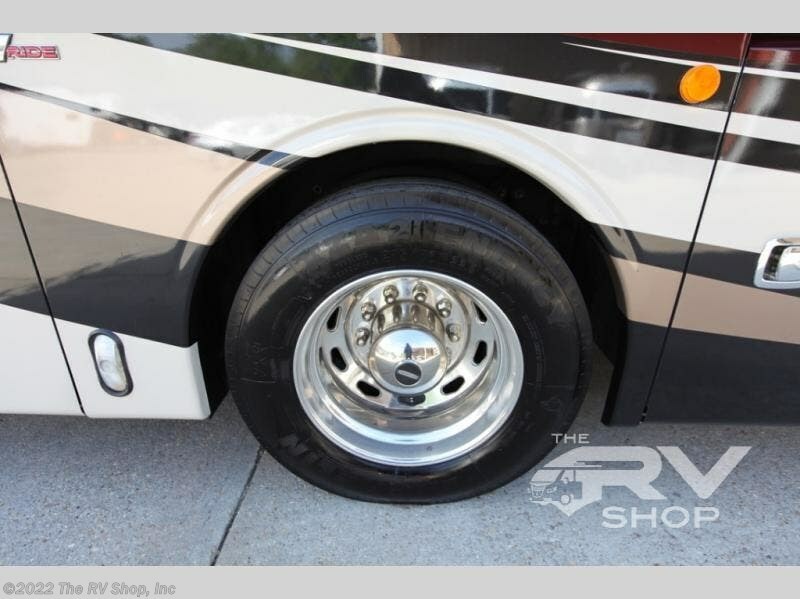 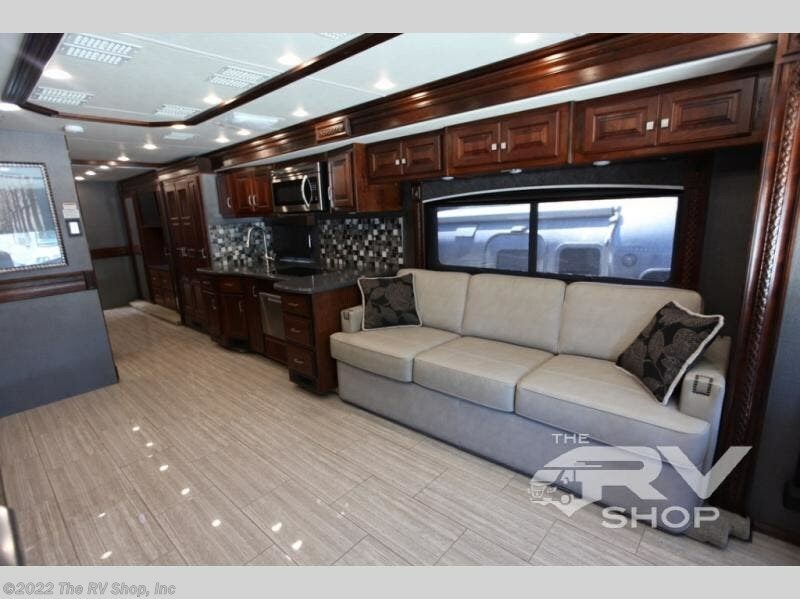 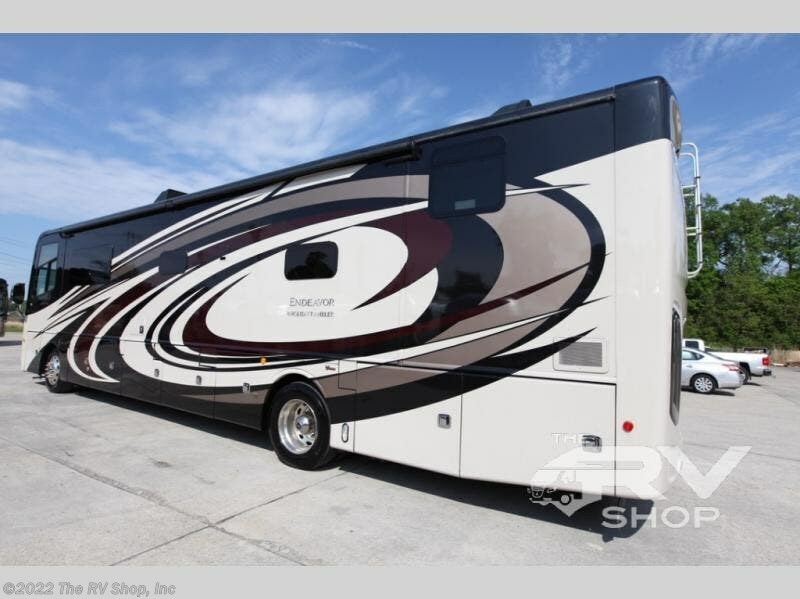 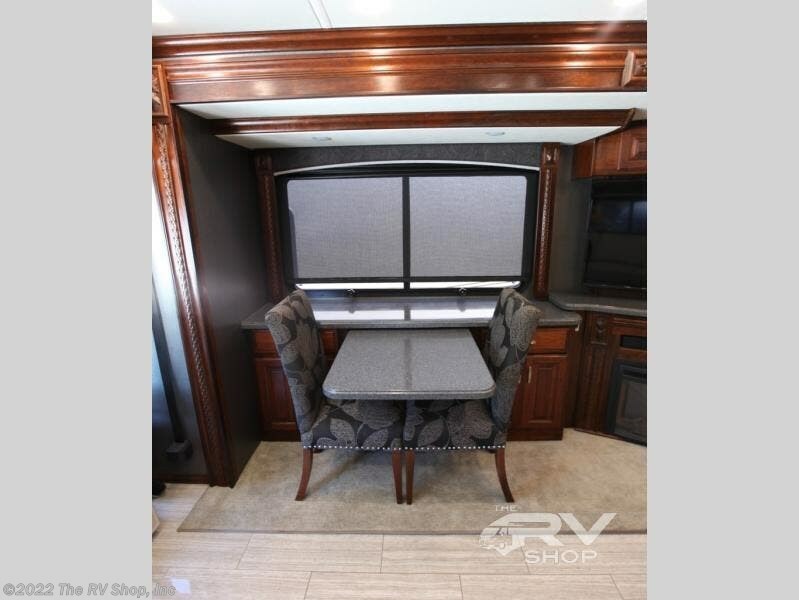 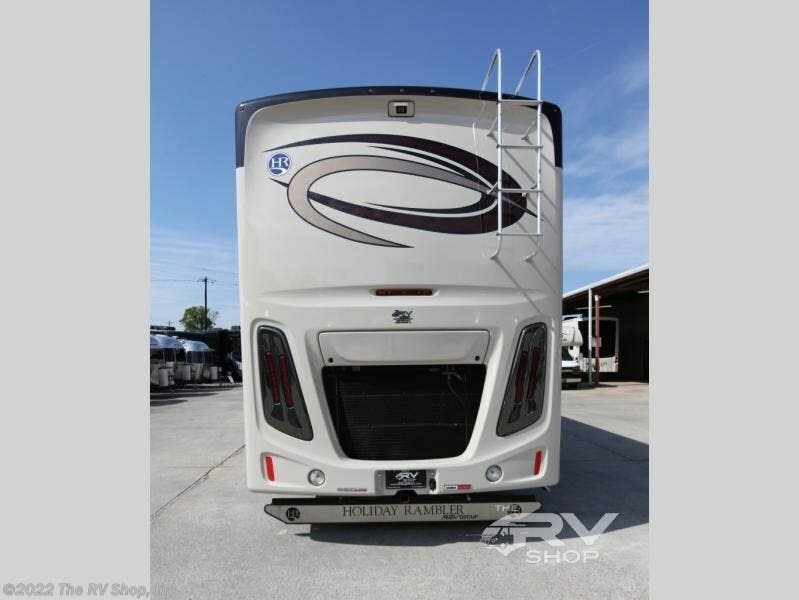 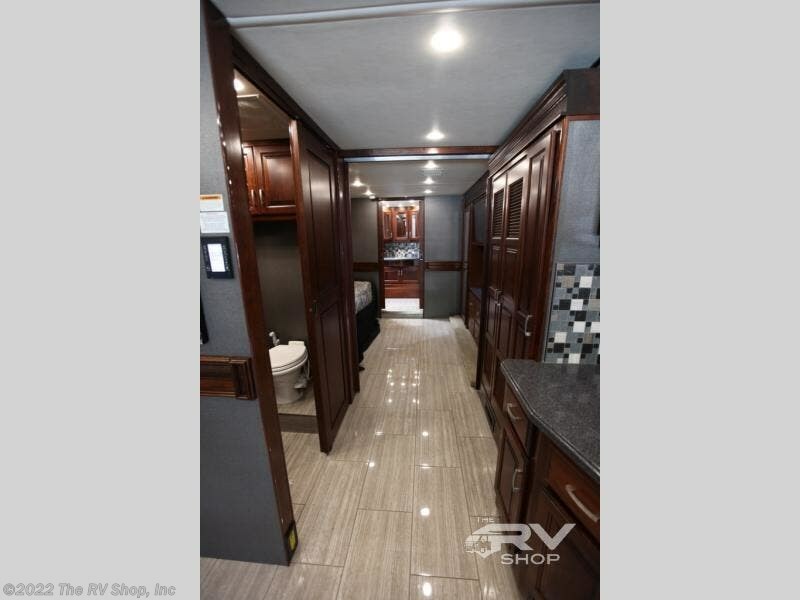 Residential luxury defines this Holiday Rambler Endeavor class A diesel coach! 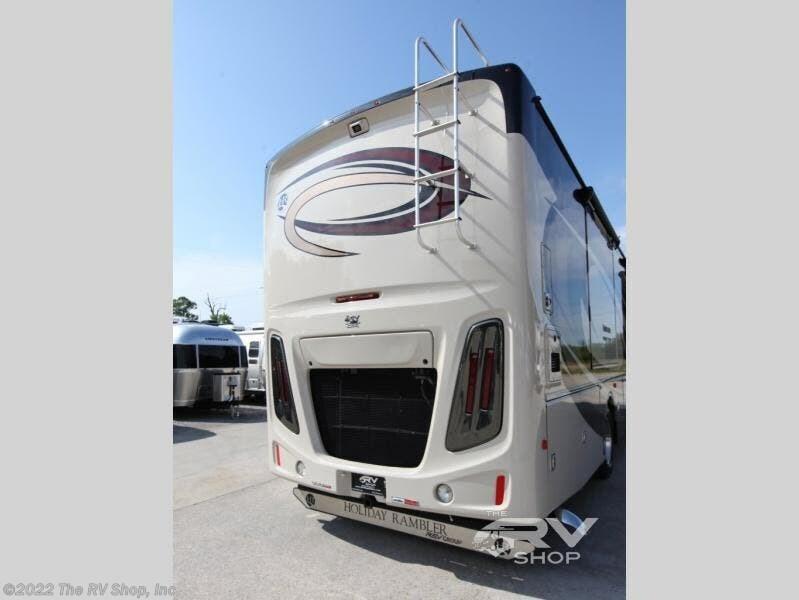 Model 40D oozes with at-home features that create a luxurious environment for you to travel in. 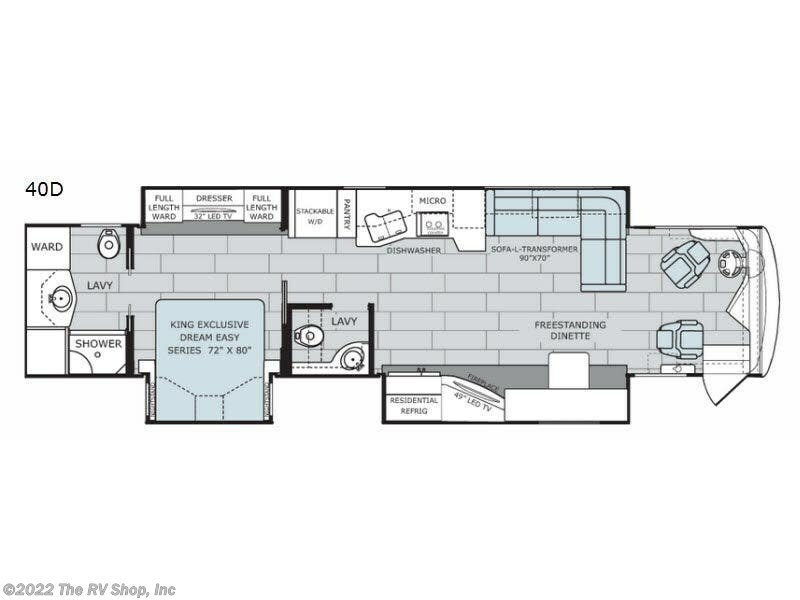 This unit offers triple slide outs, with one being a full wall slide, a king size bed, a fireplace, a dishwasher, and one and half baths! 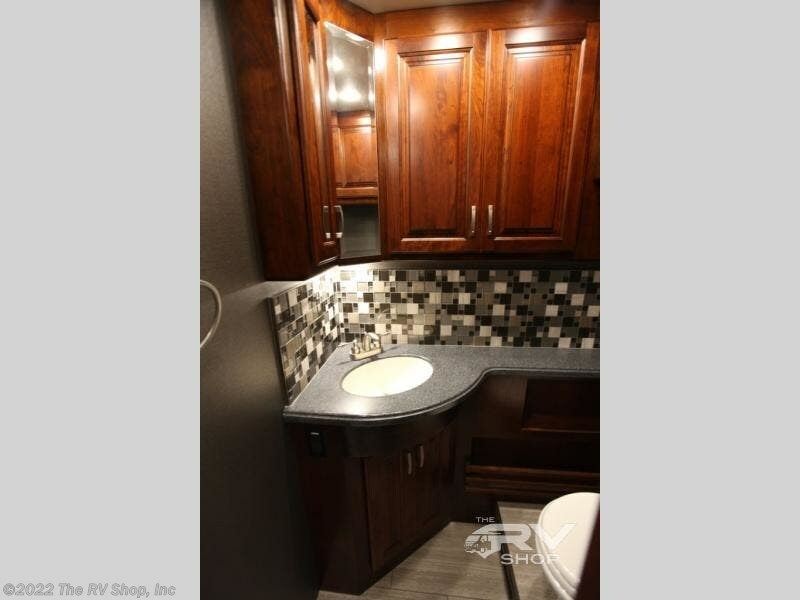 Oh, and did I mention a washer/dryer as well! 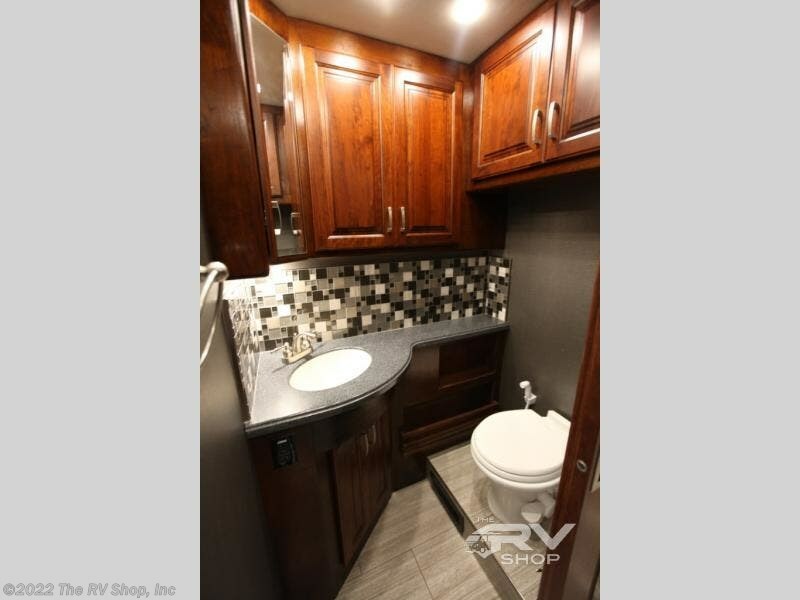 Step inside and know before you even leave the driveway that you are going to love the vacation you take as you check this unit out. 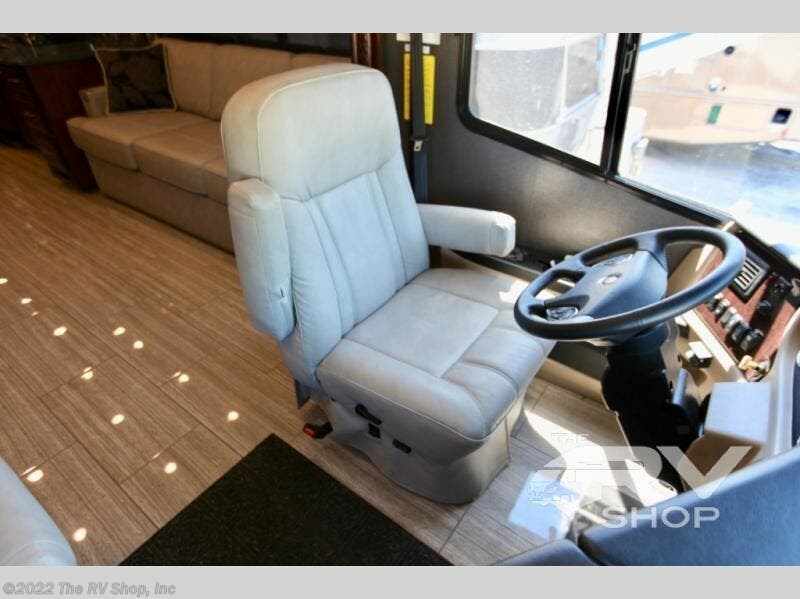 The front begins with a nice seating area just behind the driver and passenger seats where each can swivel around and be part of the conversation in the living space once parked. 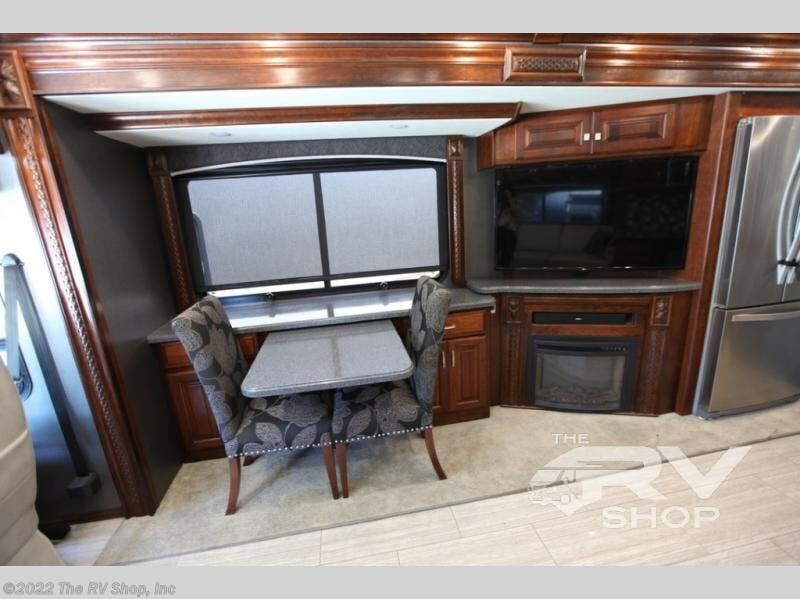 The curb side slide features a free standing dinette and TV area where you will find a 49" LED TV and cozy fireplace to enjoy. 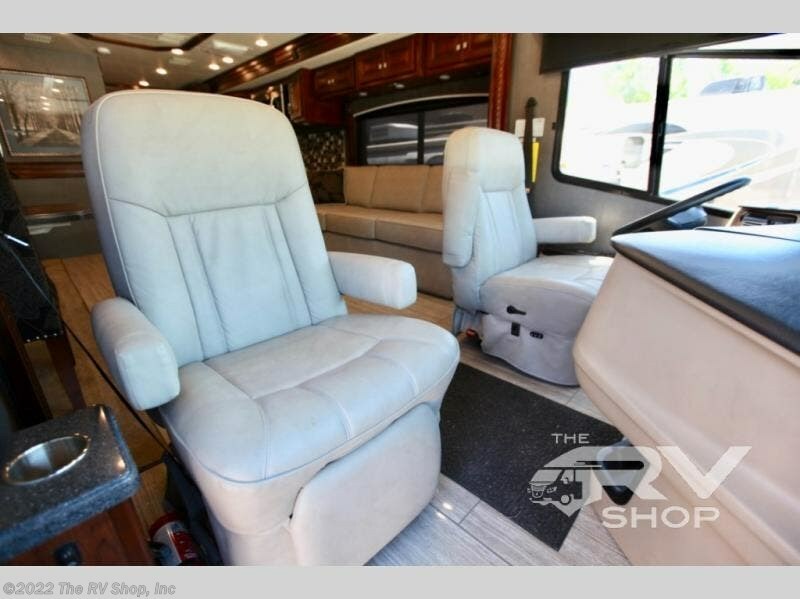 Opposite in the beginning of the road side slide there is an L-shaped sofa transformer providing ample seating during the day, and sleeping for the occasional overnight guest. 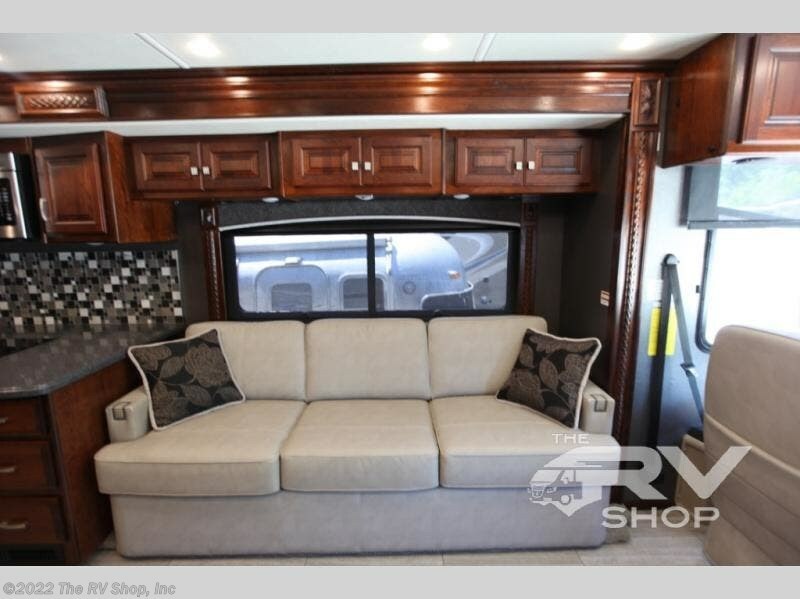 There is even storage for your things above the sofa. 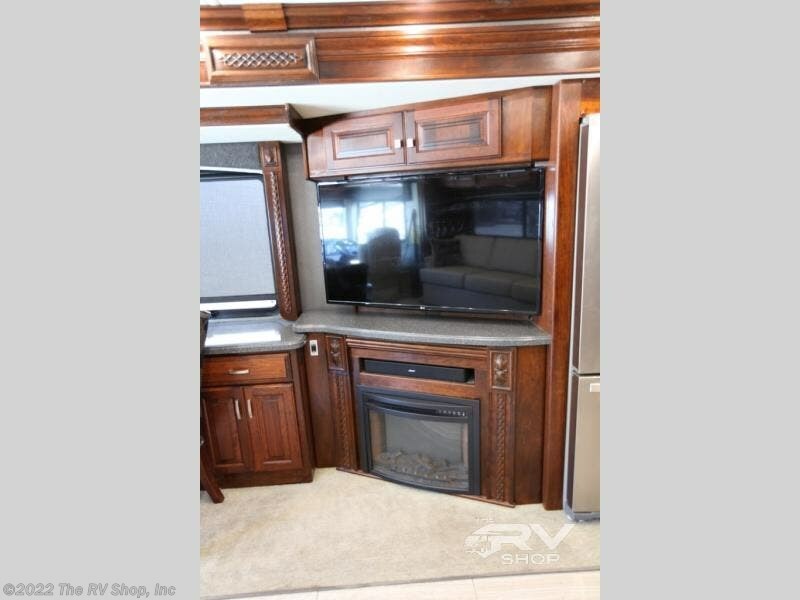 Mid coach along the road side in the center of the full wall slide you will find the kitchen where you can easily prepare food as you travel. 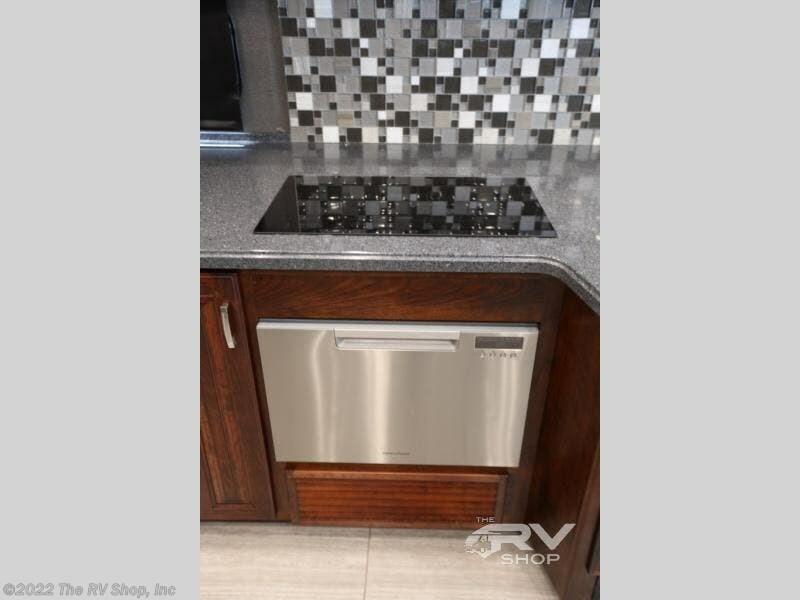 There is a bit of counter space, a two burner range top along with an overhead microwave oven, and a double sink with dishwasher too! 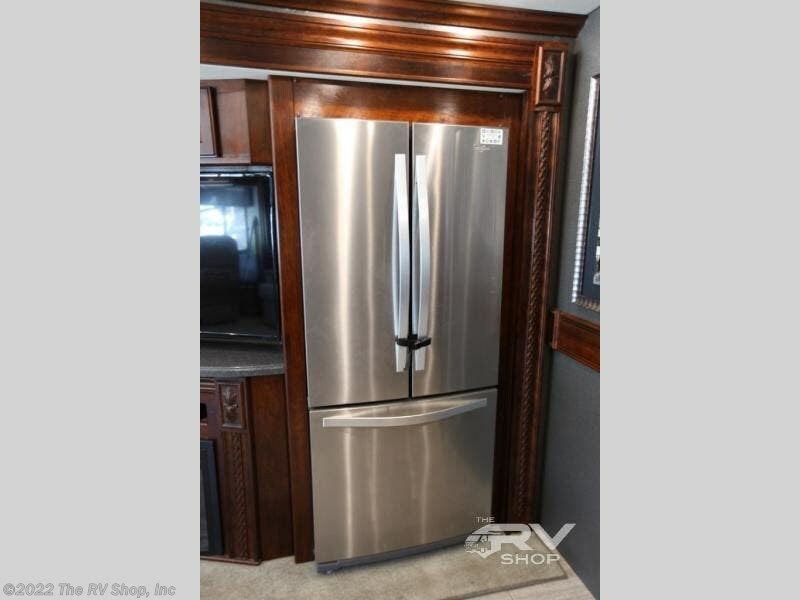 Opposite you will find a residential refrigerator in the dinette and entertainment center slide out. 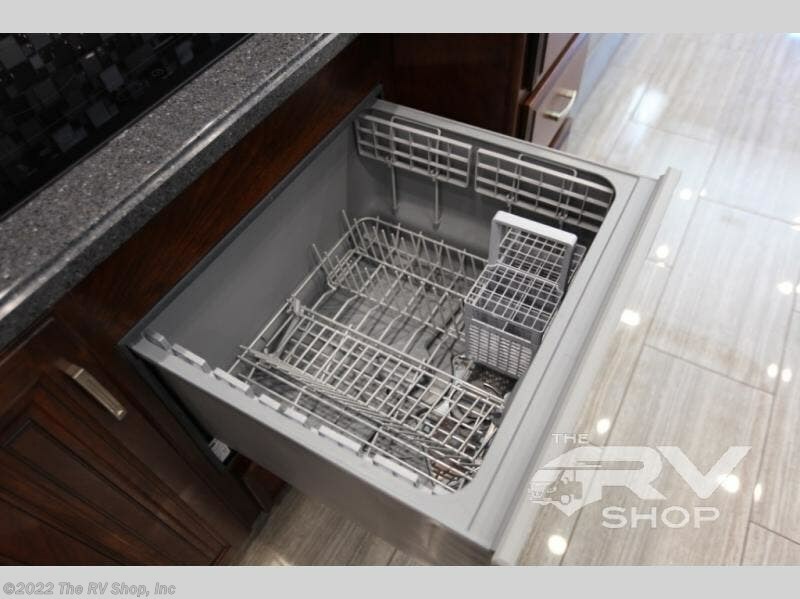 This will certainly keep all of your perishables items fresh, and the pantry along side the sink makes it easy to store your dry goods and keep your things organized. 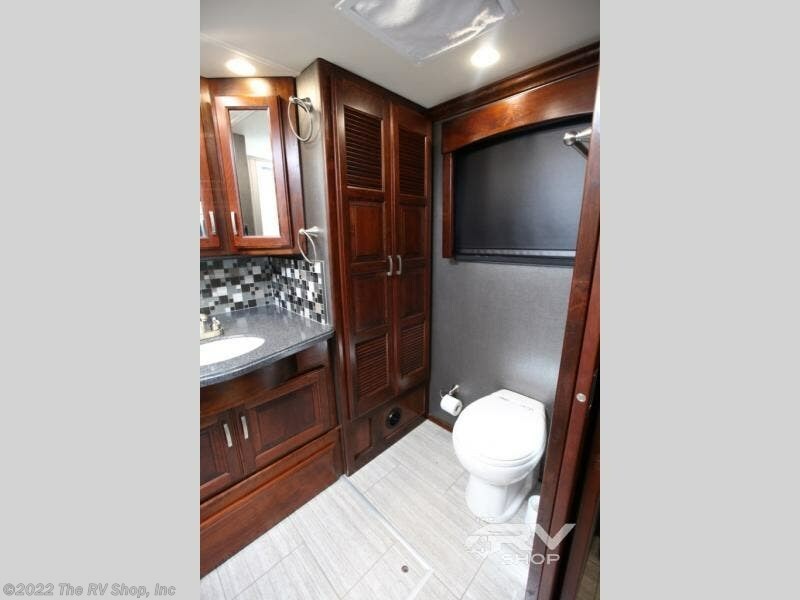 There is a handy half bath mid coach along the curb side providing a toilet and vanity with sink. 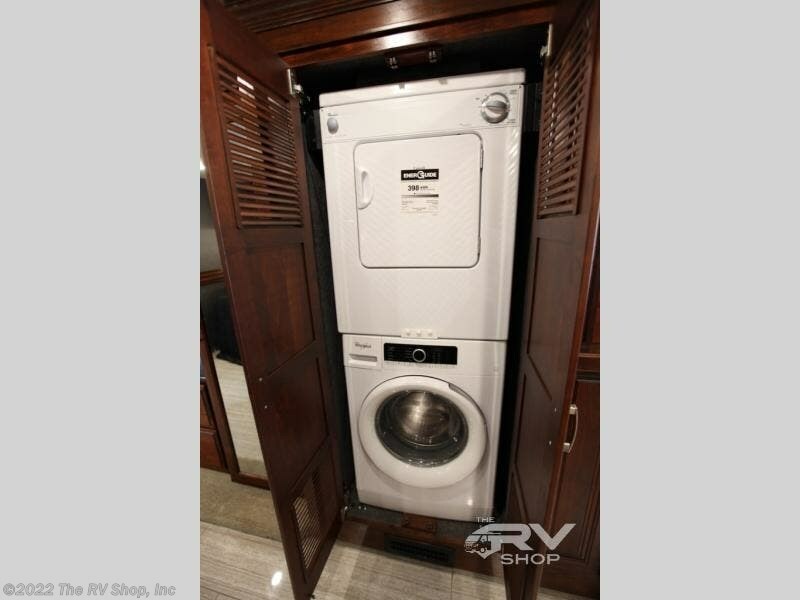 Opposite, another handy feature for your extended travels is the stackable washer and dryer. 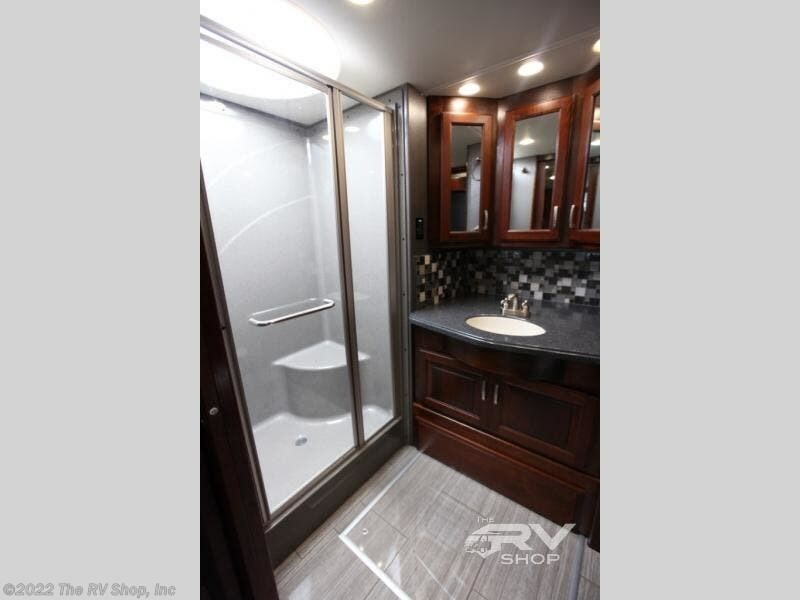 Next, a sliding door to separate the living area from the rear master bedroom and full bath. 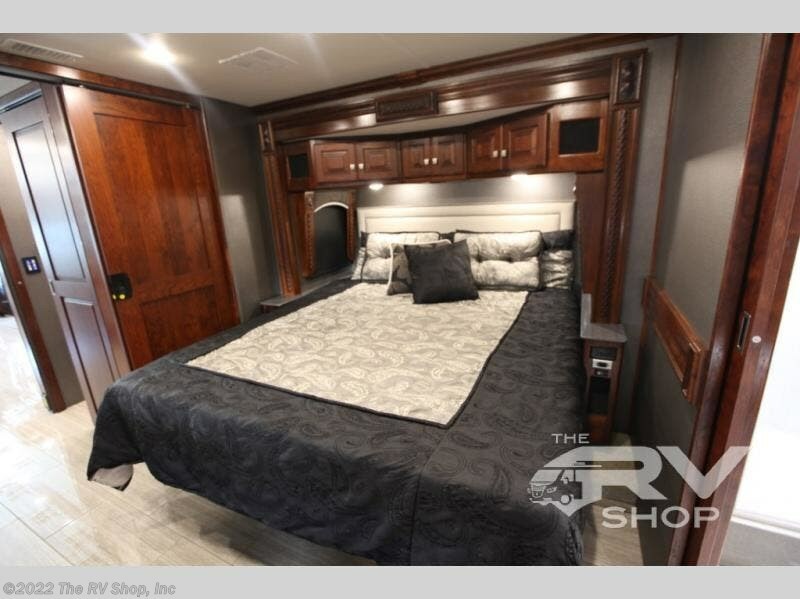 In the bedroom area you will sleep comfortably on the King exclusive Dream Easy series 72" x 80" bed. 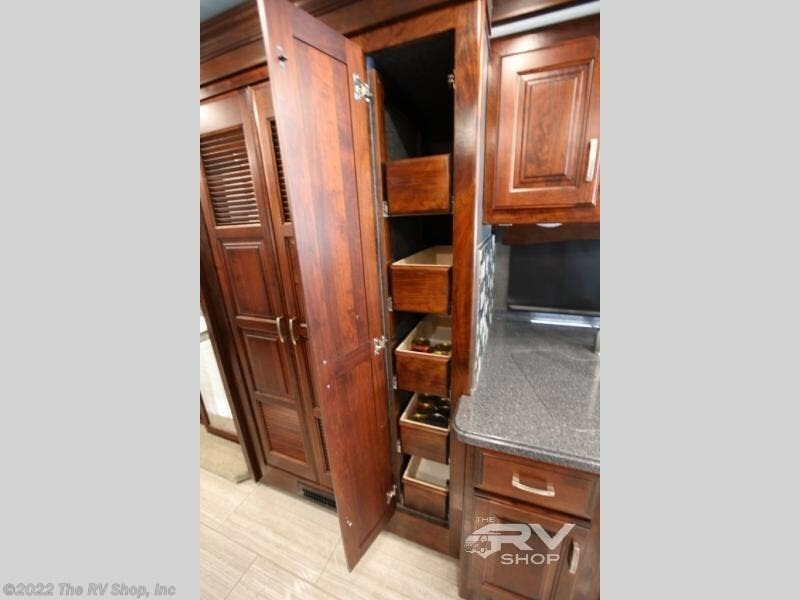 There are nightstands and overhead storage for your things, and opposite the full slide ends with a dresser and a full length wardrobe on either end, plus a 32" LED TV in between. 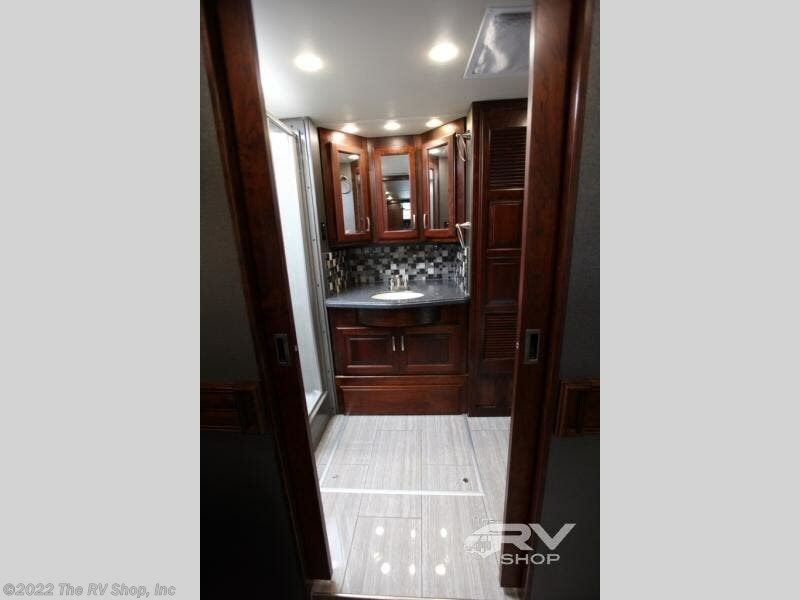 Lastly, a set of sliding doors creates privacy between the bedroom and the rear master bath. 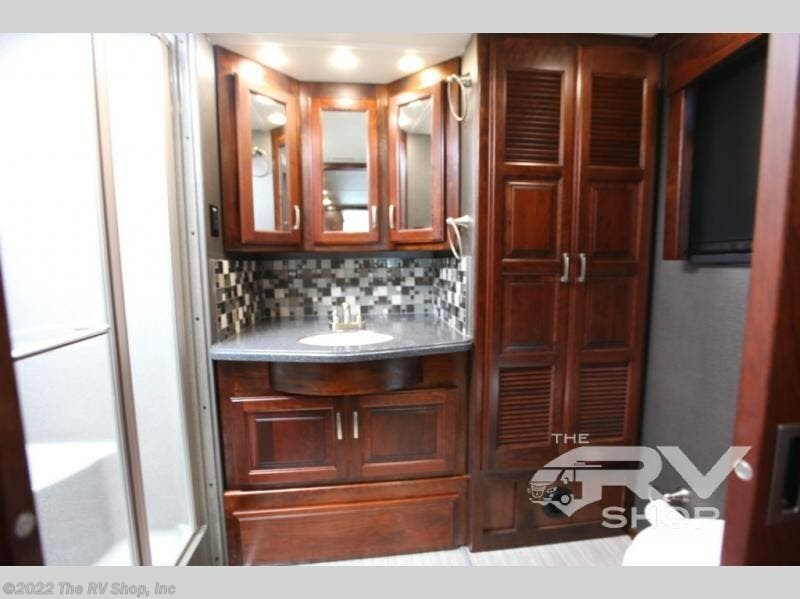 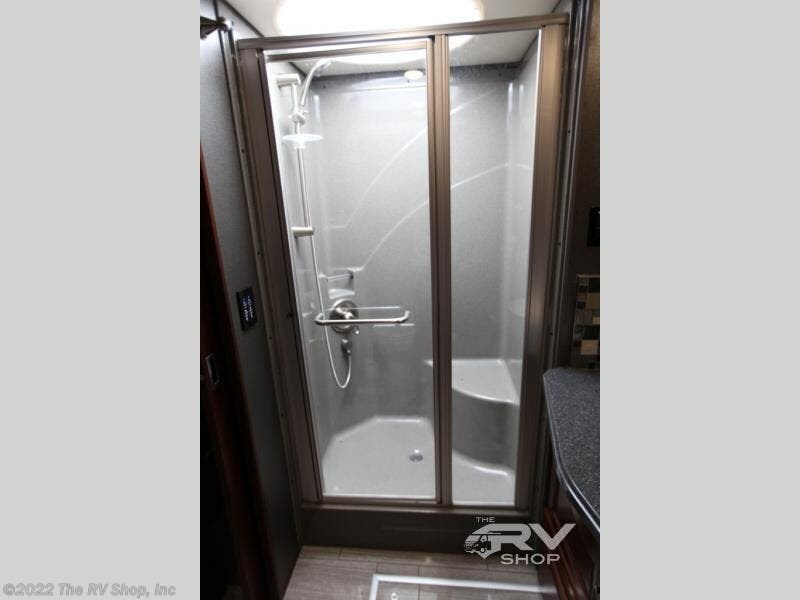 Here you will enjoy a large shower, a toilet, a vanity with sink, plus wardrobe and linen storage, and so much more! 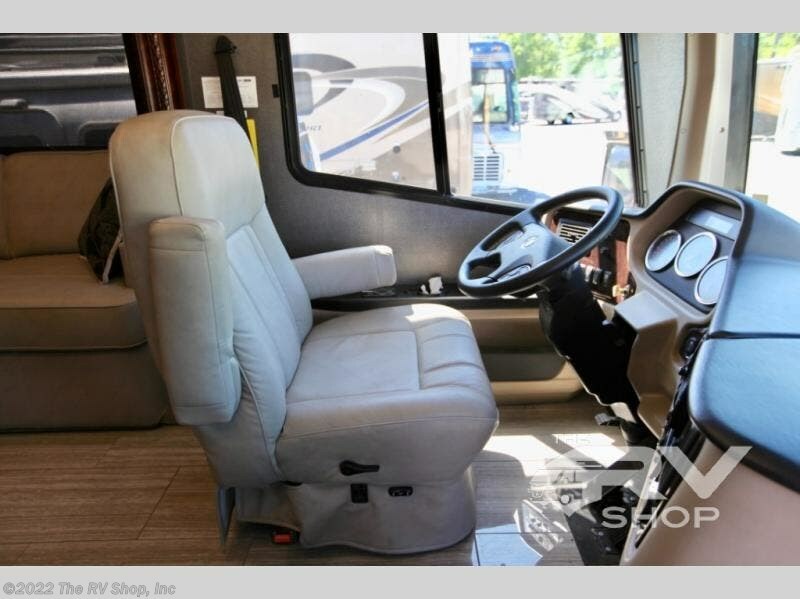 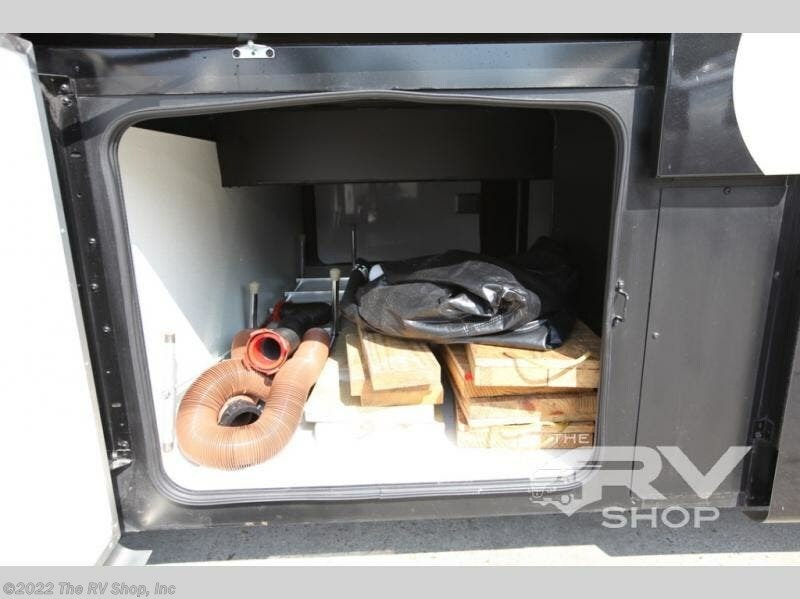 With this unit you can choose an optional L-shaped dinette instead of the free standing dinette with credenza behind the passenger seat, and in place of the L-transformer sofa along the road side choose an optional sofa with air mattress if you like. 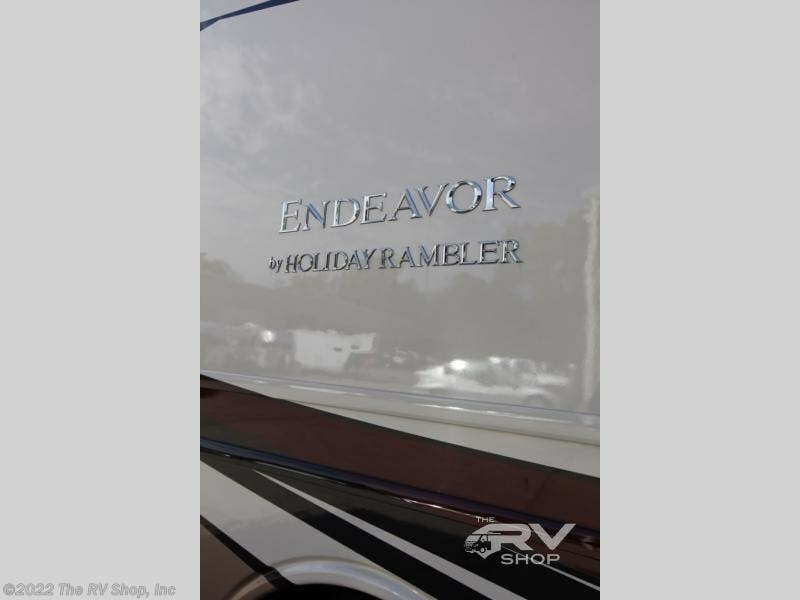 Check out Stock # JN1707 - 2017 Holiday Rambler Endeavor 40D on holidayramblerrvs.com!